As winter fades into the delicate bloom of spring, frozen crystalline snow melts into the drizzle of shimmering raindrops. Cue the days of gentle, romantic rain and the splash of rainbow-reflecting puddles. Or, realistically, prepare to be soaked by the impromptu shower of dubiously cloudy water as off-duty taxis whoosh by. 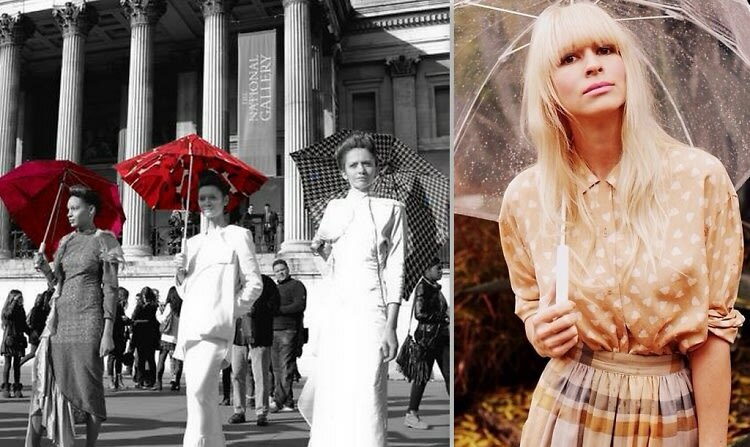 To prevent hysterical swearing, dry-cleaning bills, and crappy last-minute drugstore purchases, click through for 8 stylish umbrellas for spring! Trust us - getting drenched only looks romantic in "The Notebook."